Everyone who cares about a safe climate future is invited to join the School Strike 4 Climate on 15 March – students standing up when our politicians won’t. EVERYONE IS INVITED. Tens of thousands of students across Australia and around the world will join in. If you’re an adult, take the day off and join in solidarity. So, on March 15, school students are walking out of school to tell our politicians to take all of us seriously and start treating climate change for what it is: a crisis and the biggest threat to this generation of students and generations to come. 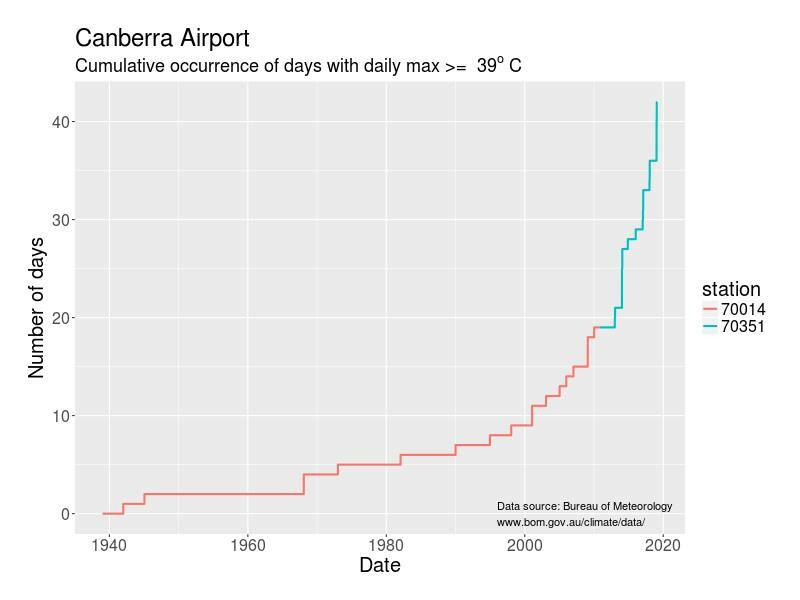 Those who deny human responsibility for climate change – climate denialists – often claim that modern warming is the same as periods of warming in the past. 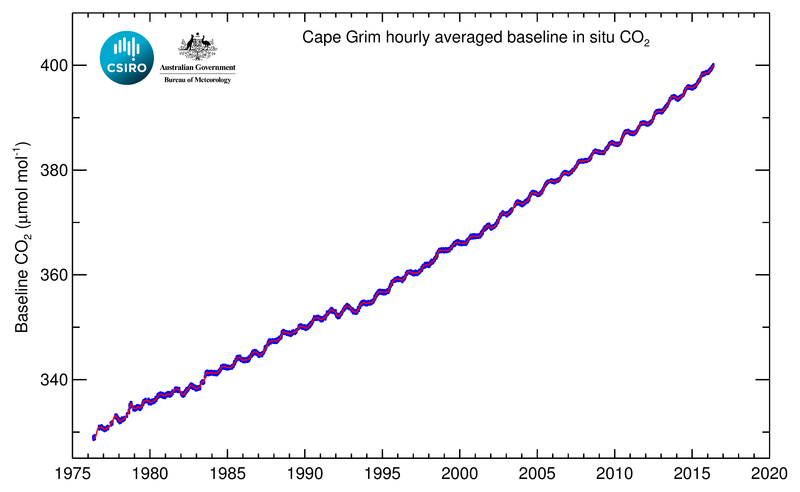 This is shown to be false as previous warming was not caused by greenhouse gases but by changes in the Earth’s orbit. In the graph below the impact of changes in the Earth’s orbit can be seen in the bottom line trace (left hand scale) as the amount of solar insolation (energy reaching the Earth) varies. 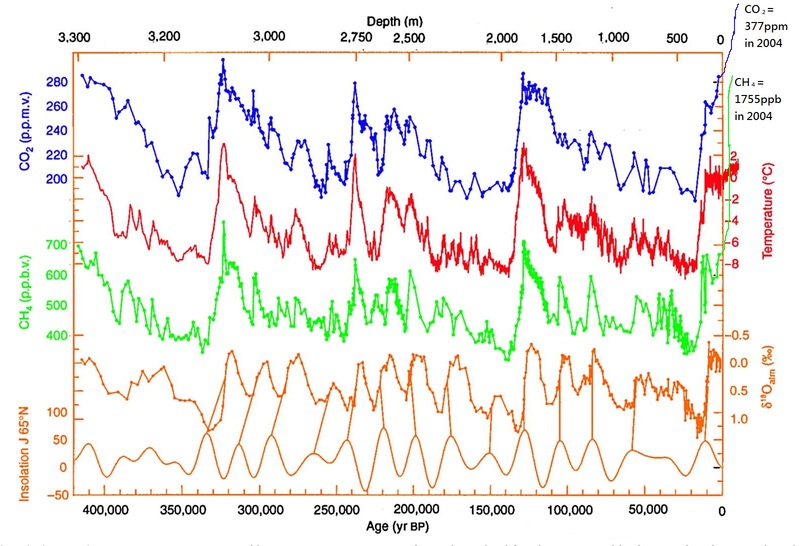 The temperature impact is measured by changes in the oxygen isotope in the second line trace from the bottom (right hand scale). Today, changes in the Earth’s orbit should be generating a cooling climate as the amount of solar insolation is falling, but instead, increasing greenhouse gasses are warming the environment. Human activity has caused greenhouse gas emissions (CO2 and methane) that are now double the levels produced naturally. The only cause of modern global warming is the increase in greenhouse gases produced by human industry, along with an increase in atmospheric water vapour from that warming. Methane levels are now 1840 parts per billion. CO2 levels are now over 400 parts per million. We are in a Climate Emergency and heading towards a catastrophe for all species dependent on a habitable climate. 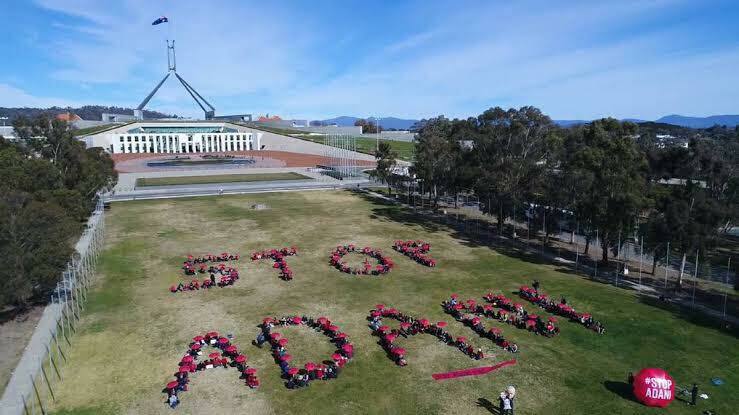 CANBERRA SAYS NO TO ADANI ! Adani is relentlessly pushing ahead with its plans to open its megamine in the Galilee Basin, despite major setbacks to the project we’ve made as a movement. We’ve convinced Australia’s biggest banks along with major international banks to refuse financing the mine, pressured the QLD State Government to veto Adani’s NAIF loan, AND forced major Adani partnering firms Aecom, Downer and Aurizon to cut ties to the project! Yet despite overwhelming opposition of ordinary Australians, our Federal Government is still committed to seeing Adani’s Carmichael coalmine up and running. Over 75% of the population disapprove of the coalmine but still the LNP and the ALP refuse to step in and stop its construction. In fact, both major parties have actively supported the project. Now more than ever it’s important to publicly show our opposition and demonstrate our determination to stop Adani! 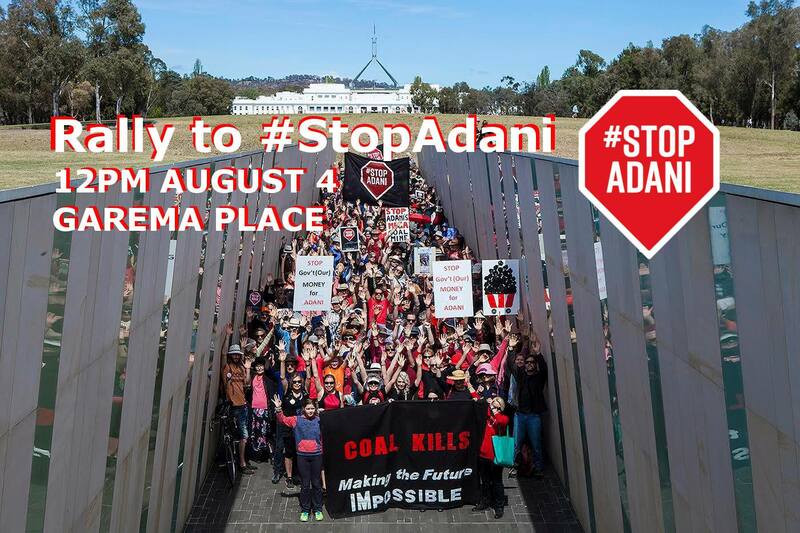 Join #StopAdani Canberra in protest to demand the government and Labor oppose the mine and move Australia beyond coal. Wear your #StopAdani gear or red and black! Bring your friends, signs and your voice. This will be a fun, powerful and family-friendly event.